Leaving Marina di B., we headed east to Volterra, originally founded during the 8th century BC by the Etruscans. Like many such towns in Italy, it is richly layered with the accretions of successive conquering cultures. 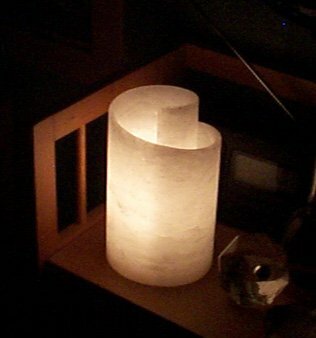 A long-exploited natural resource of the area is alabaster, found in the surrounding hills in the form of large and small nodules embedded in clay. The artisans of Volterra carve this soft, luminous stone into urns, tabletops, lamps, statues, and chess sets. The most interesting work we saw was a chess set with pieces in the liknesses of film stars (Marilyn Monroe for the queens, John Wayne for the knights, etc.). The board was made of separate, undulating strips of celluloid – all carved from alabaster, of course. 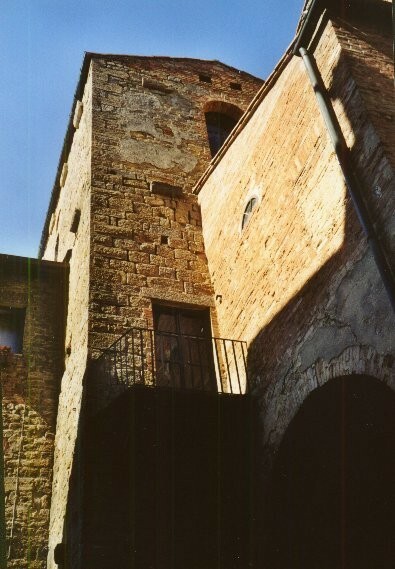 This entry was posted in Italy travel and tagged Italy travel, Tuscany, Volterra on August 15, 2001 by Deirdre Straughan.